Just a quick post today as I need to get ready to go out for a hen’s night. 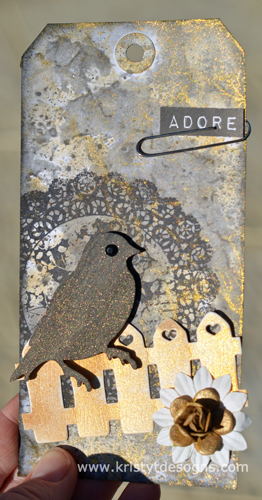 I grabbed a few moments today to make this tag using some Gold Mister Huey’s mist and Black magic glimmer mist, a cute Wooden Maya Road bird, a leftover die cut of the La La Land Crafts Heart Fence Die, a white Kaisercraft Flower, a gold flower by Prima, a word from the barcode strip of a piece of Pickled Pear paper, and a big paperclip. Gold is a colour which is a definitely a trend at the moment. You’ll have to excuse the slightly ordinary pic as I was trying to photograph it outside so you could see the glimmer but it was too windy so I had to hold it! 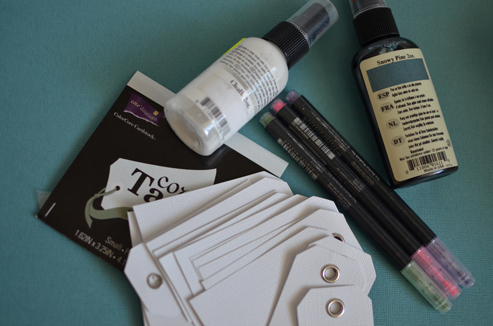 I have had these black tags for a little while and so I pulled some mists, a template, one of the new Kaisercraft texture stamps, silver paint dabber, some ribbon and some embellishments. My youngest boy (he is 2 and a half) likes to help with the cooking and also likes painting, so he was quick to come and see what I was doing. My stamping space has moved into an area next to our kitchen so I put the box I do my misting in on the kitchen bench and I think that was what grabbed his interest. So we made him a tag too. 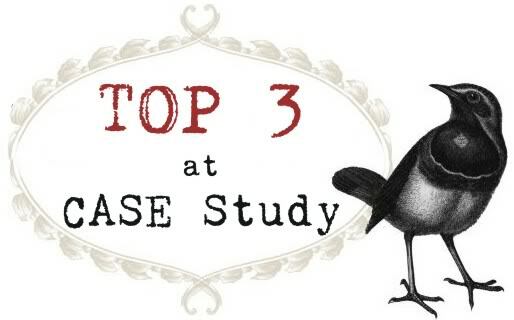 If you have any questions about how I made the tag just leave me a comment and I will be sure to write back. I am feeling much better now and managed to get a bit of time for playing with paper over the weekend. I had the shape with the hearts cut out of it already from a while ago when I did some cutting with my cricut and I had some leftover Aquamarine Glimmermist from a different project I started last week, so I just swiped my piece through the glimmermist and left it to dry, thinking I would use it sometime. Well sometime came on Sunday when I pulled out the MME Sweetest Thing paper pad and it matched perfectly. I wanted to use some of the patterned papers so I die cut the 2 hearts using the Memory Box Dies. 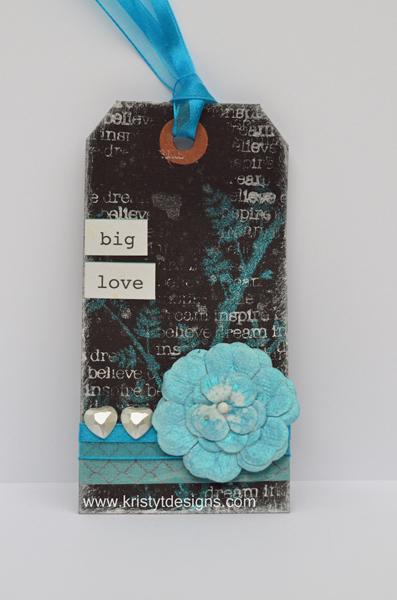 I made a banner using some kraft card and stamped the sentiment using Impress Pale Aqua ink. I curled it a little by running it over the handle of a small paint brush. 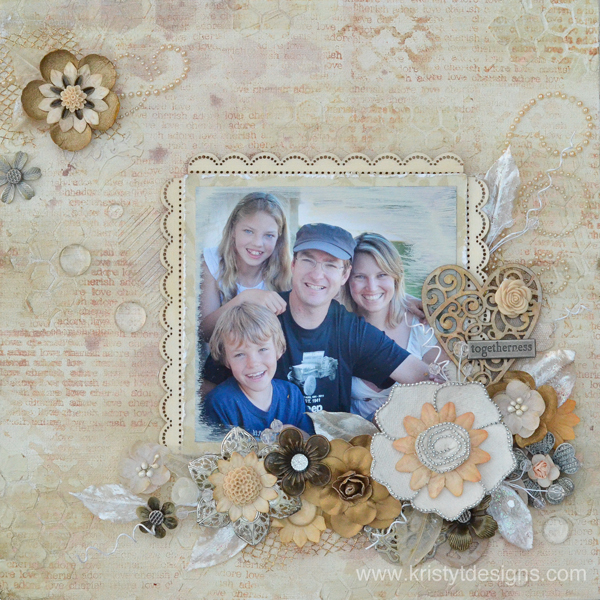 The text paper was a banner sitting on my table that I had leftover from a different project and the resin flower is by Kaisercraft. 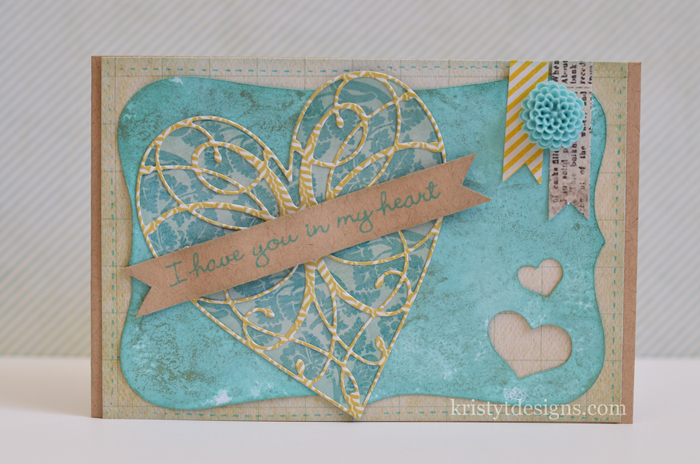 Supplies: Kraft Card, White Card, Cricut and Cartridge, Glimmermist – Aquamarine, MME 6×6 paper pad – The Sweetest Thing, Memory Box Grand Heart Die, Memory Box – La Rue Heart Die, Impress Pale Aqua ink, Glitz designs – text paper, Kaisercraft resin flower. Hope you had a good weekend. Stef gave me some lovely textured white tags from Core’dinations a couple of weeks ago so I thought I would make a card using them. I sprayed the tags with Glimmermist – snowy pine and Chalkboard – white which gave them a lovely shimmer. I then stamped the Hero Arts flower stamp (from the stamp and die cut set – Flowers and Butterflies) using black archival ink and then coloured with my Atyou Spica glitter pens (See photo below the card photo for details) which gives a lovely sparkly effect. Faux stitching was drawn in with my copic multiliner ).3. The dotted cardstock is by bazzill and has been sanded with my sanding block. The card was then assembled as shown with ribbon and pearls to finish it. 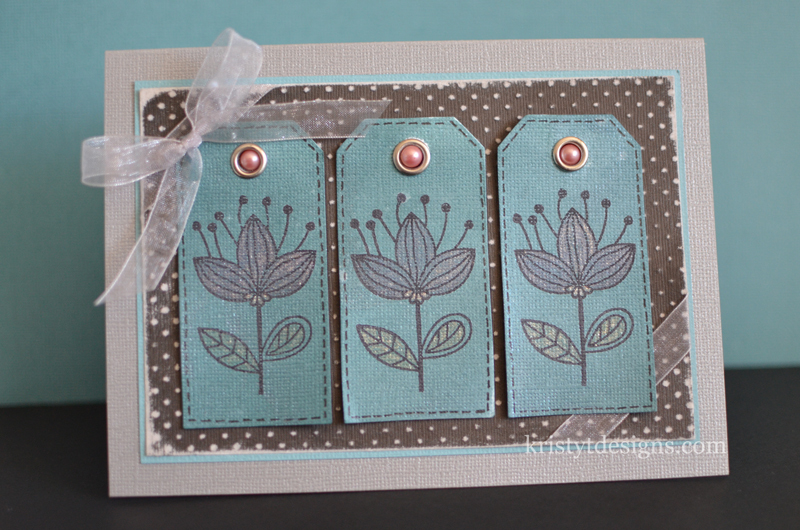 Sometimes it is nice to make a card without a sentiment too, so it can be used for lots of different occasions. 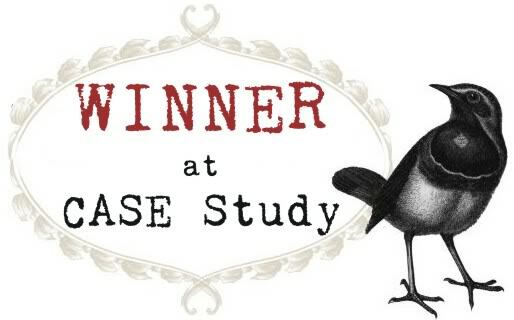 Thanks for stopping by and if you have any questions please leave me a comment.